These are the streets that Bing Crosby used to walk. Tall brick buildings still stand silently, some looking as new as when they were built, some left to slowly crumble. Imagine yourself in a city that still holds onto its heritage yet at the same time revels in its future. This appreciation of the past but respect for the future can be seen in the many restored buildings located downtown. These buildings still retain their original feel, but are now home to many shops, quaint restaurants, and other specialty stores. A large arena was built a number of years ago to complement Spokane’s large International convention center. A stroll on the river front takes you to the present day heart of this city near Spokane Falls. 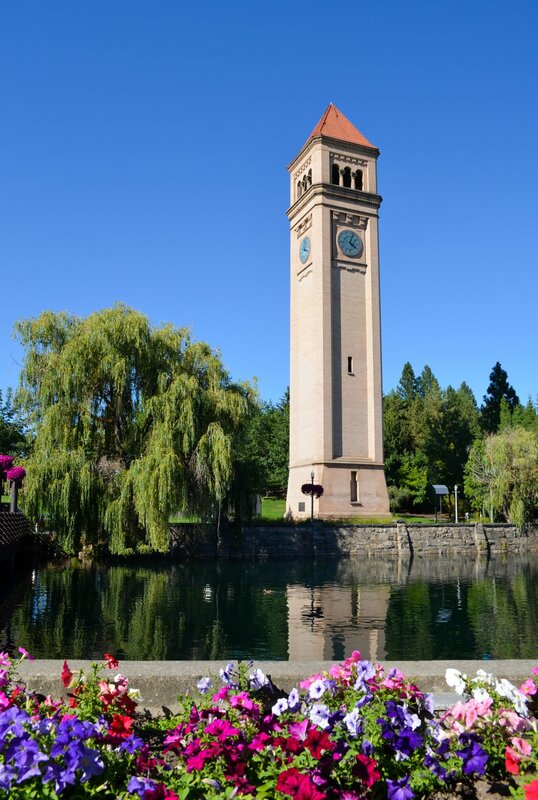 In 1872 the city center was moved 10 miles from Little Spokane River to its current location. Today as you walk along the river you can still see the remains of the old grain and lumber mills. This is Spokane, a city that serves as a hub for for Eastern Washington and Western Montana.